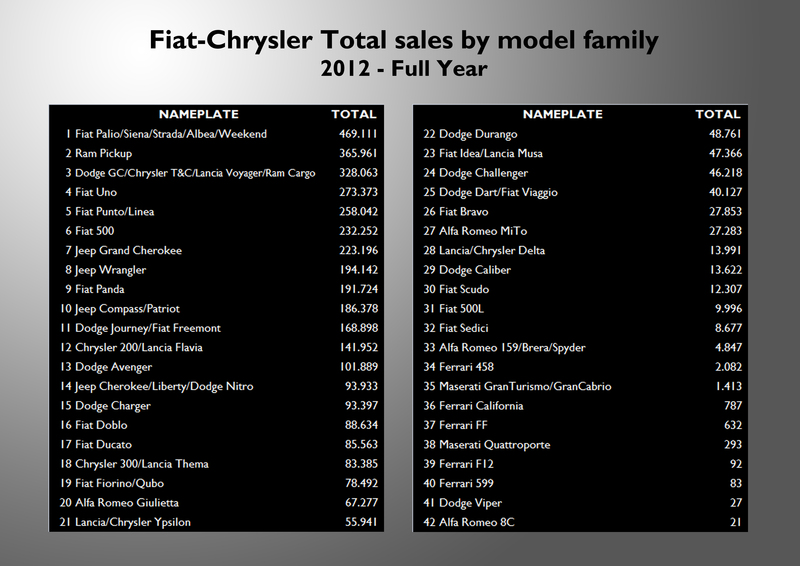 74 different models (plus the LCV nameplates) allowed Fiat to sell more than 4,2 million units in 2012. I was able to gather data for 4,05 million units by model and here there are the results. The 2 best-selling cars of the group are strongly dependent in one singular market. 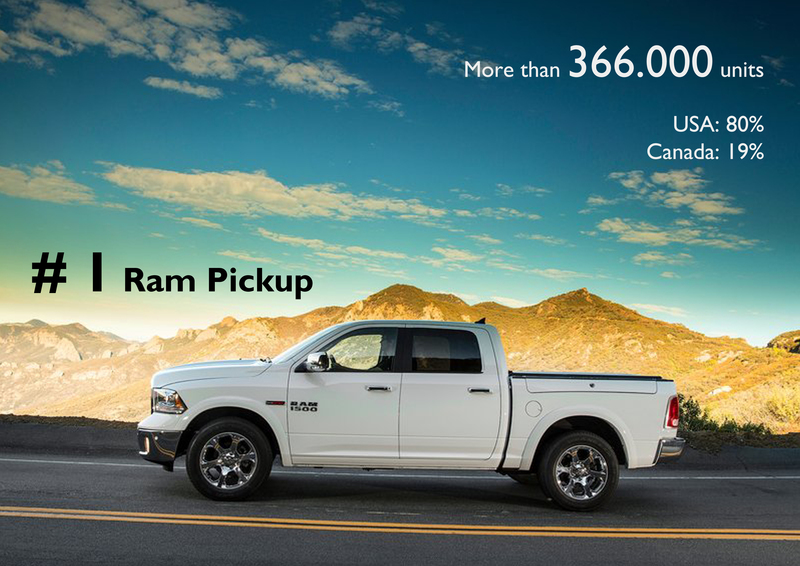 The Ram was again the group’s best-selling name plate with more than 365.000 units (80% sold in USA). 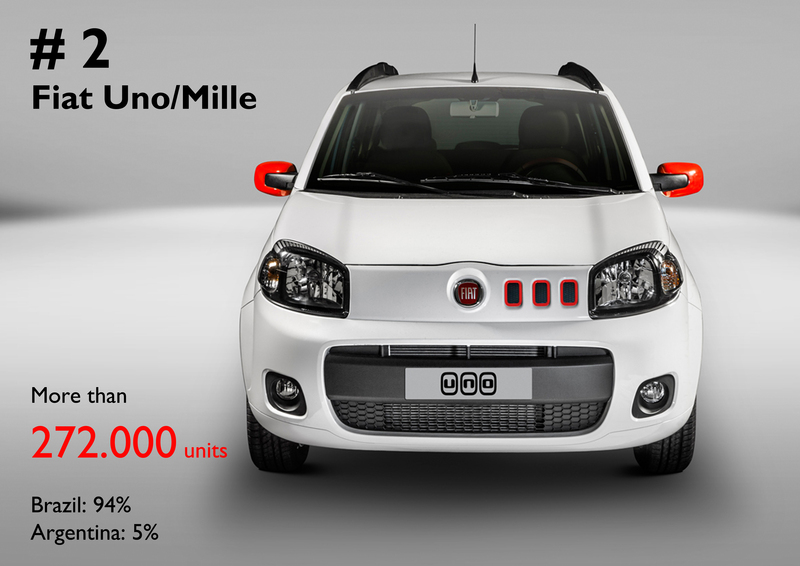 The Fiat Uno comes at second place with more than 272.000 units (94% in Brazil). 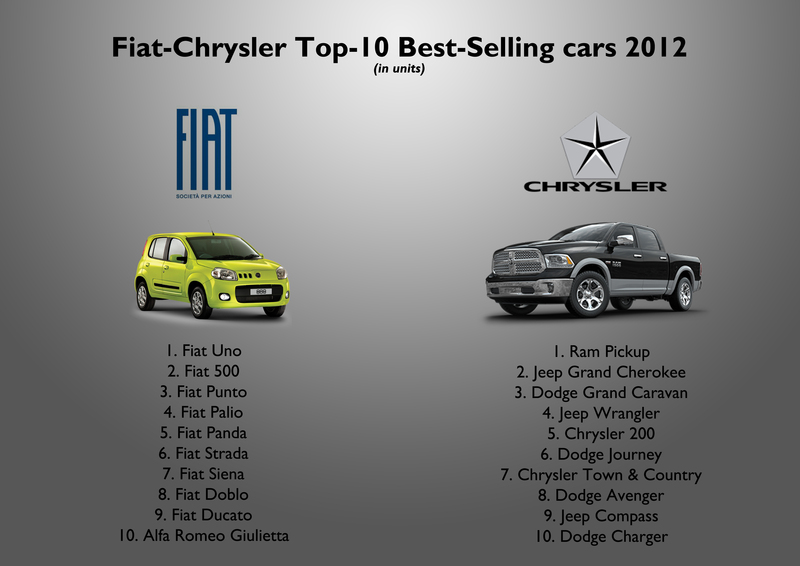 Then comes the real global products: Fiat 500 and Punto, and the Jeep Grand Cherokee. 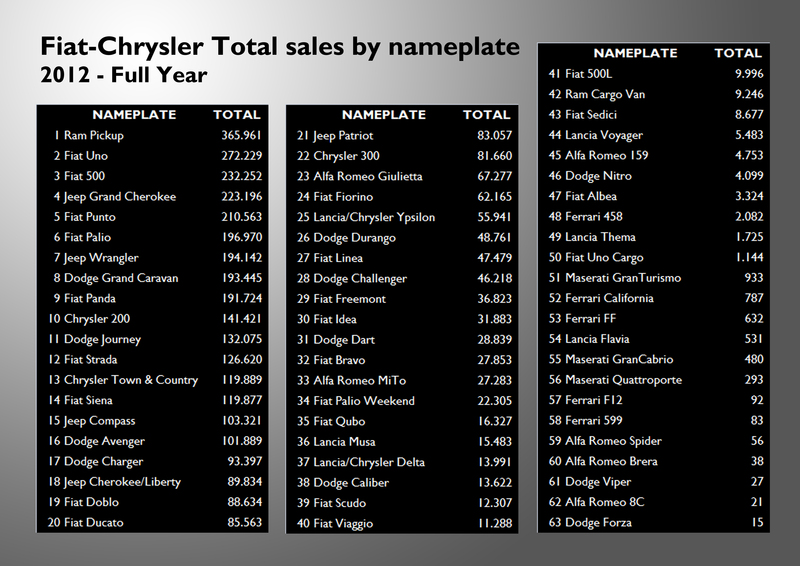 Notice that Fiat Group’s ranking is mostly composed by Fiat brand nameplates, while Chrysler Group’s is more balanced among its brands. Source: see at the bottom of this post. Thanks to the American demand, the Ram Pickup is the group’s best-selling nameplate. It oounted for 9% of Fiat-Chrysler total sales. As it happens to the Ram and USA, the Uno comes at second place thanks to Brazil only. It includes Fiat Mille’s sales figures. Contrary to the Ram and the Uno, the Fiat 500 is perhaps the most global product of the group. It was the third best-selling nameplate, despite the fact that it is already 6 years old. 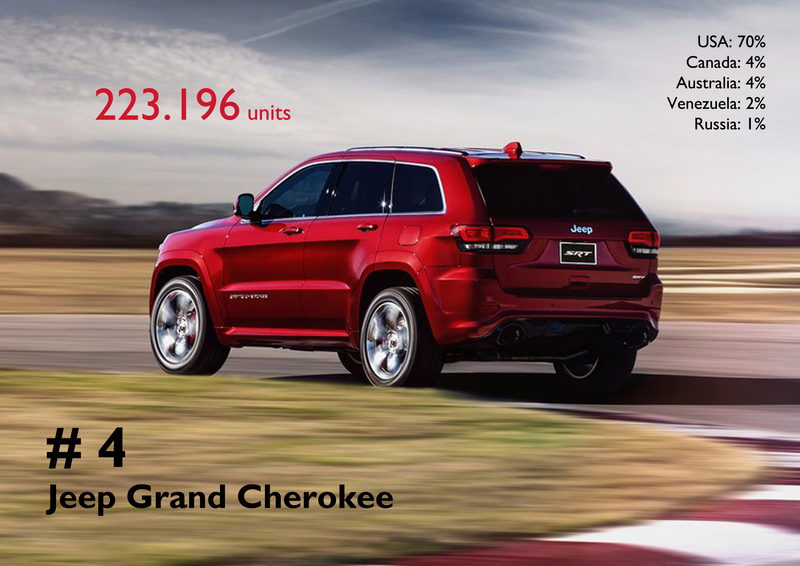 The Grand Cherokee is also quite popular outside the US market. The good results in the Middle East, Australia and Venezuela helped the nameplate to become the 4th best-selling car, ahead of the Punto. 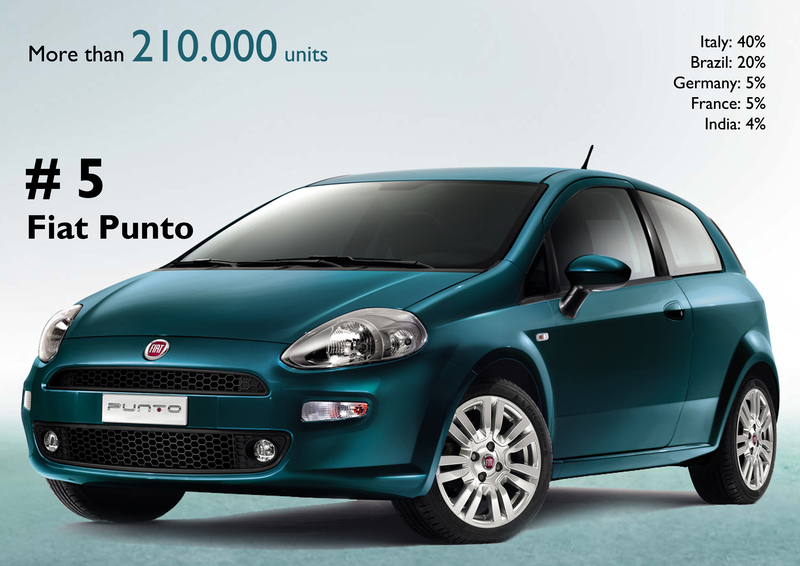 The Punto lost some positions due to the low demand in Europe. It used to be Fiat’s best-selling nameplate back in the 90’s. 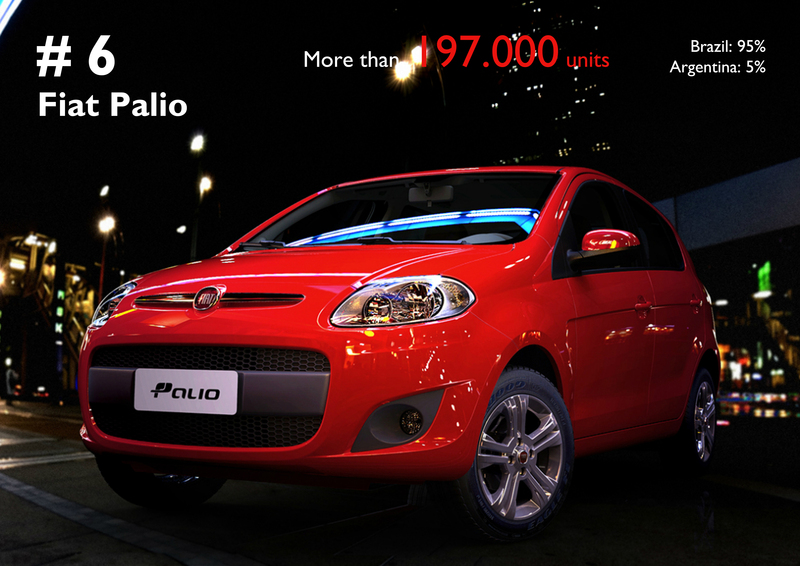 The Palio’s success is mainly explained by domestic demand. 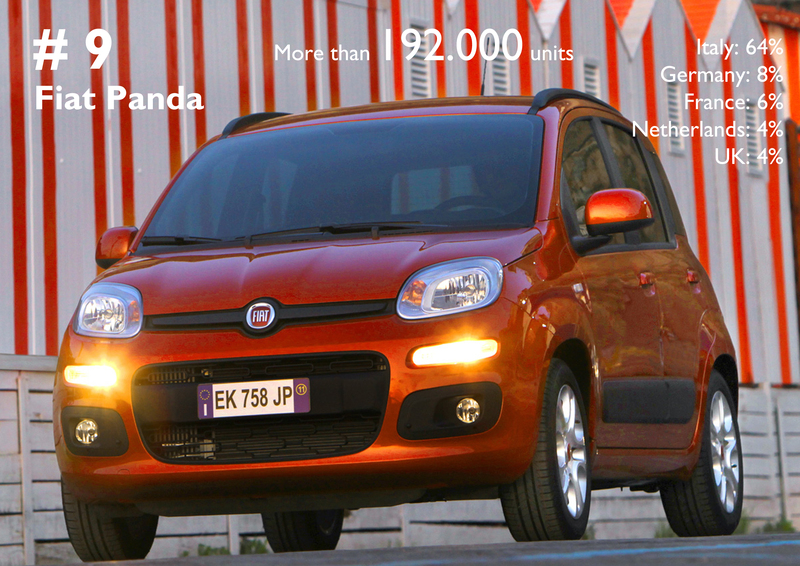 The results include the Palio Fire registrations. 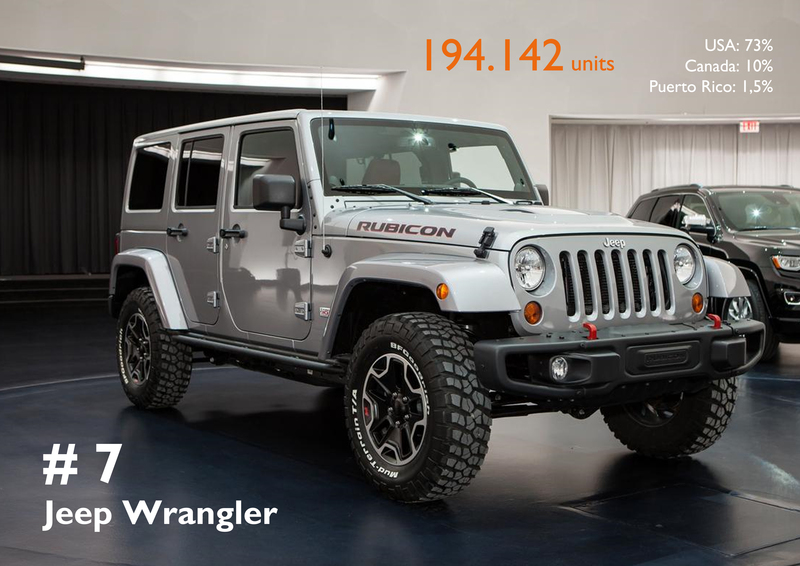 With almost 200.000 units sold, the Wrangler had a wonderful year. 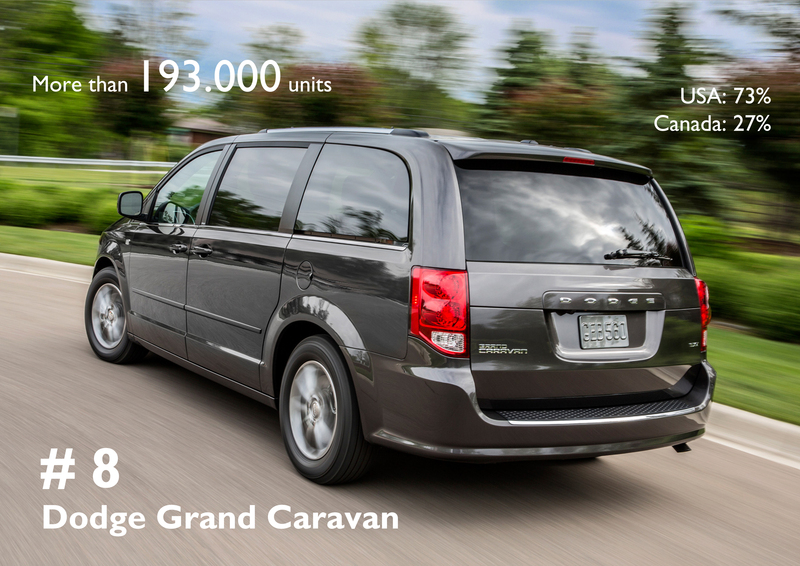 Once again, the Dodge Grand Caravan was the best-selling MPV in USA and Canada. 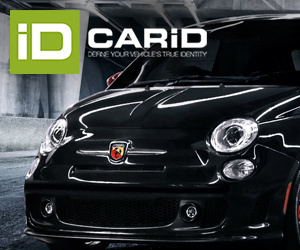 Those results allowed it to be in the top 10 of Fiat-Chrysler best-selling models. The new Panda was Europe’s best-selling mini car in 2012. More than 60% of its sales took place in Italy. 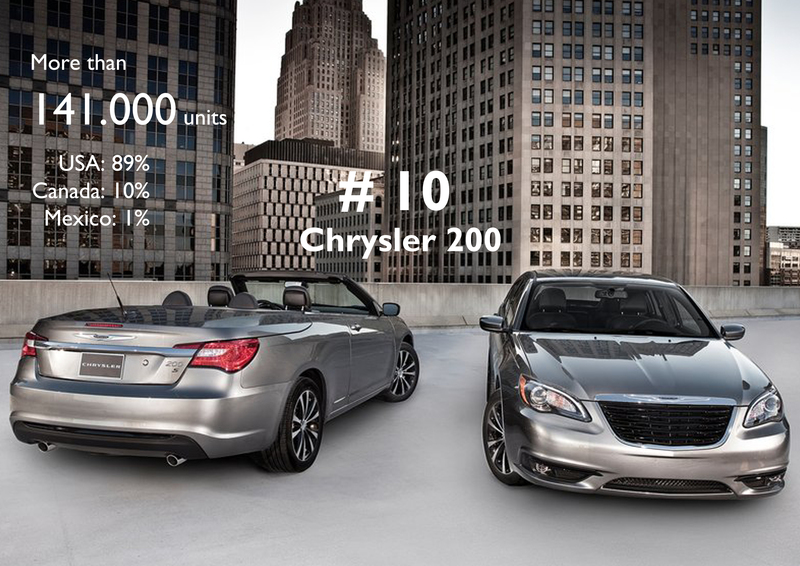 Finally, the top-10 is completed by the Chrysler 200, which had a terrific year thanks to the US market. 5 Chrysler Group models and 5 Fiat Group models compose the list. The top-10 is perfectly balanced between both groups. However they are quite different in terms of content. While the Fiat’s best-selling models are small cars (A and B segments), Chrysler ones are big cars belonging to several segments (Pickup, SUV, MPV and a sedan). USA, Brazil and Italy are behind these numbers. Estimated data based on the information gathered in the web. The ranking may change. Fiat small cars are very well positioned, while the larger ones occupy very low positions in the ranking (Fiat Bravo, Alfa MiTo and Lancia Delta). Source: see at the bottom of this post. If the ranking is made based on the model-family, then the Palio family becomes the most popular one. Notice that even if the Lancia Voyager is extremely unpopular in Europe, it makes part of the third best-selling model family of the group. Source: see at the bottom of this post. 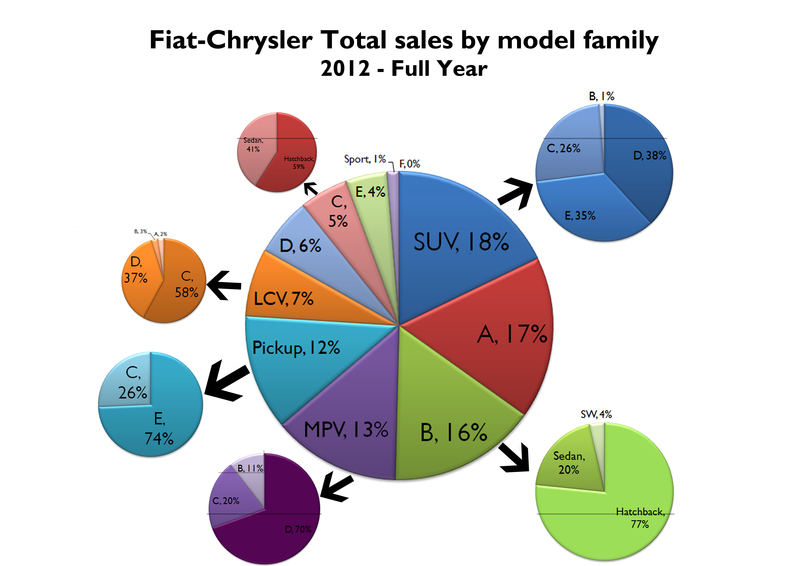 18% of Fiat-Chrysler sales in 2012 were SUVs. 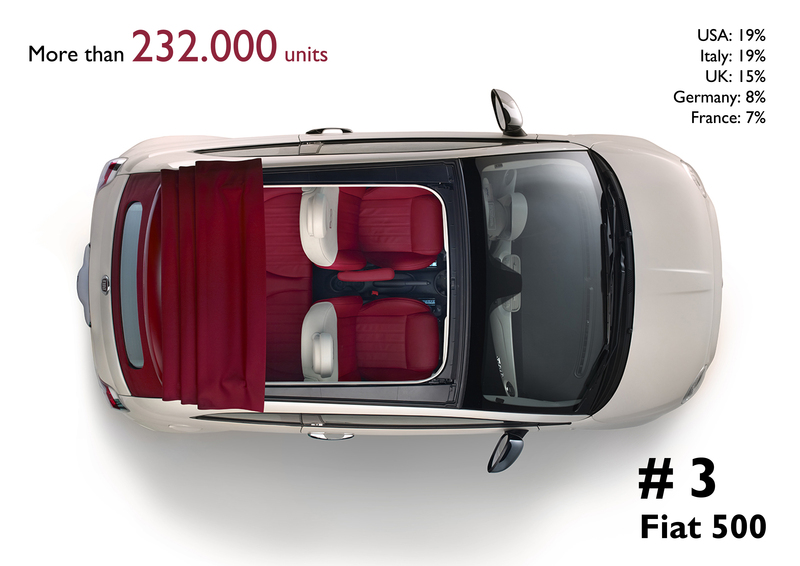 That’s more than total sales of A-Segment cars. Notice that the group sells more Pickups and LCV cars than C-segment cars. That should change as Europe and China love C-segment cars. Source: see at the bottom of this post. Source: Autoblog.com.ar, Automotive.co.at, Best-selling cars Blog, Focus2move.com, tela.com.br, Good Car Bad Car, Motor.com.co, Autonet.hr, portal.sda-cia.cz, bilimp.dk, mnt.ee, trafi.fi, kfz-betrieb.vogel.de, seaa.gr, hkmta.com, us.is, beepbeep.ie, unrae.it, jaia-jp.org, lpaa.lv, lavieeco.com, raivereniging.nl, mia.org.nz, brummebil.hpage.com, carmarket.com.pl, motoresmagazine.net, raycee1234.blogspot.it, ads-slo.org, carmag.co.za, aniacam.com, bilsweden.se, autoblog.com.uy, cavenez.com. Many thanks to Manuela Todeschini from Colitalia Autos Colombia, Silvio Donato from Anfia Italy, Paula Silva from Fiat Chile, Robert Breton from Fiat Dominican Republic, Robert Gabor from Fiat Hungary. Thanks also to my friend Yvess Milliere, Vitaly Plochotnikow, Leonardo Zanella. just one question, when palio and punto is selling more thn panda then why fiat is not focusing on them and instead they are concentrating only in 500 and panda for future models? Because the new plan (based on the 500 and Panda) is exclusively for Europe, where the 500 and Panda are the best-selling models of the group. The Palio is very popular only in Latin America, while the Punto is still popular thanks to Brazil (Italian registrations dropped). Panda and 500 are very superior than Palio. Since i’m Brazilian, i can proof this. Palio interior is not good like Panda. The number for Ferrari and maserati cann’t be realistic. Of course is not realistic. I couldn’t find the results in every country. Europe needs a new Punto. Now it is obsolete: born in 2005.